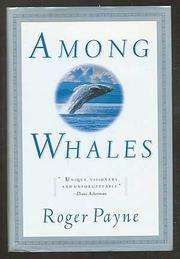  Befitting a creature with a heart weighing six tons, freelance writer and biologist Payne brings a lot of love, an encyclopedic knowledge, and an expansive imagination to this exquisitely written study of whales. Smitten by whales since 1967, the author here offers the fruits of his 27-year fascination with the biggest, perhaps most gentle animal ever to live on earth. Although advances in cetacean biology have been great over the past three decades, much of the whale's world remains obscure and rarified. Payne's particular talent is to be at home with both realms: he can sling equations with the best--in fact, he probably is the best--and he can creatively marvel at the unknowns, never too proud to say he hasn't got the answer, never unwilling to venture an explanation or two. A good portion of the book is spent by the waters of Argentina's Peninsula Valdes, an isolated whale hangout on the southern Atlantic, where Payne watches whales with his family, whose story is as beautifully handled as the delineation of the Patagonian landscape. Twined to this narrative are long essays on whale songs, diet, migration, bubble clouds, the impact of pollution, exploding harpoons, factory ships, ecotourism, whaling, and the poverty of imagination behind big-game hunting. Some of the most powerful writing chronicles a time when the author got deeply, sweetly involved with the rarest of large whales, the right. Payne has delivered more than the most dedicated whale enthusiast could ask for: a book of great beauty, integrity, and understanding, pure pleasure even if you can't tell a sperm from a killer.